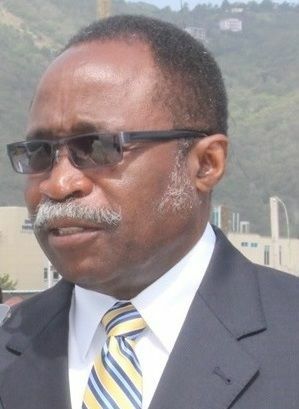 ROAD TOWN, Tortola, VI- If there is but just one time that the Member of the Opposition, Honourable Julian Fraser RA (R3), got almost the full backing of legislators on the other side of the aisle in the House of Assembly, it would have been yesterday May 29, 2017 when he raised grave concerns about locals being side-lined in the yachting industry. It was while debating the amendment of the Cruise Permit Act 2017 during the Sitting of the House that Hon Fraser reminded his colleagues that the struggles locals face in the yachting industry are no new music to their ears as they are old issues that are not being addressed and are getting worse. "We have to be bold, we have to be courageous, we have to look out for our own people," the former Leader of the Opposition insisted. Hon Fraser told the House in no uncertain terms that the industry is now one of the most profitable industries in the territory as he noted with disgust, "Unfortunately, Virgin Islanders do not benefit from it as they should." While alluding to the allege hassle locals face as crew members, Hon Fraser insisted that trained locals should be the dominant crews out in the industry. However, it was the leader of the Opposition Honourable Andrew A. Fahie (R1) who blamed his colleagues in the House for what is happening as he said that it seems law makers are afraid to pass legislation to safeguard locals in the yachting and other industries. Meanwhile, Fifth District Representative Honourable Delores Christopher alluded to the problem as decades old and said no one seems to be listening. According to her, she is for legislation that would address the issue once and for all. "We have to correct these things. I do agree we must bring another bill here to regulate this cruising industry, not only from the fee aspect," she strongly recommended. "We have come to the point where our local captains are groaning because of some rigmarole story that the captain and the maid or cook or whoever must now be together and share one cabin. It is a trick Madam Speaker, it is a trick." Junior Minister for trade and Investment Promotion Hon Marlon A. Penn (R8) also added his voice to the issue, noting he is one of the few in his district not trained in the yachting industry. Why aren't the locals buying their own yachts if they think they are entitled to the BENEFITS? Instead of buying a speed boat to run up down doing nonsense why not invest in their own business? I don't understand why Fraser, Fahie and others encouraging our people to be beggars instead of controlling their own destiny? You are here fighting for jobs and crying foul instead of going out there and doing your own thing? How about BVIslanders pool funds, invest in these things and then hire their own people? I know why, because it's all just pretentious BS!! @bvi, I agree with you. If they can find the money to buy scooters, race boats and expensive gold jewelry they can invest that money and start a business. I am tired of the excuses. This is so sad to see the apartheid evil going on here. So sad to see that you have a few €OON$ out here supporting these r@€i$t yacht owners. Cleaning and taking top measures to preserve their yachts. In the long run they find out that the w#it€ man doesn't really want us natives on their boats anyhow. They're attitude towards us is to clean up behind us. @ True. I see where Native W/Indian Here is coming from. You sound so illiterate and retarded in response to what he or she said. You seem to have not team the response well. How you read to understand something so simple, we wonder. Wow!, how you embarrass us natives with your incorrect spelling, to match your response. MY words, NOT YOURS!!! @ True. Read to understand a response before you respond. U have such a level of stupidity within you. Wonder how many times you been struck by a car. I believe you also walk with your eyes up your a$$ also. Not everyone that takes the wheel of a boat and run around the islands is considered a yacht captain. They should also address implementation of rent price control. How it stands, the cost of renting is triple what many of us make in a month. It is obviously geared towards the more advantaged people that already have money sitting on from the days of colonialism, and/or are entrepreneurs and owners of these yacht companies, resorts, financial industries and law firms. Its not fair game. Comments like this make me sick to my very core. It is difficult to believe that we have raised a generation of people with such a strong belief of self entitlement that they can write this sort of clap trap. It is not about self entitlement, the rental fees here are through the roof, make a call and you will see. It is easy to throw shade from the outside looking in. Locals don't need to benefit from everything. These guys make me laugh. There isn't a single one of them who knows the first thing about how a charter company operates, yet, they are happy to talk, talk, talk about how BVIslanders are being suppressed in our own country. They prattle on and on about colonialism, being disadvantaged, and on and on. Has ANY one of them actually done any homework? Has any one of them gone to one of the charter companies and asked the important questions? NO THEY HAVEN'T! They talk like they know something when they don't have a clue. It's easier to shred something apart and kill the golden goose, rather than LEARN something and find ways to integrate our people into our most lucrative industry. Waste of time, all of them! Have you EVER stepped foot inside a charter company office? I have, in fact I've been to most of their offices over the years and I can say for a FACT that you are dead wrong! Why is everyone so quick to make up lies and then CLAIM they aren't "playing the race card"? If ANYONE wants to confirm any of the statements made by our so called "leaders" and their blind followers who like to parrot them, go to any charter company near you and see for yourself! There is a healthy mix of expats and locals employed at all of them. 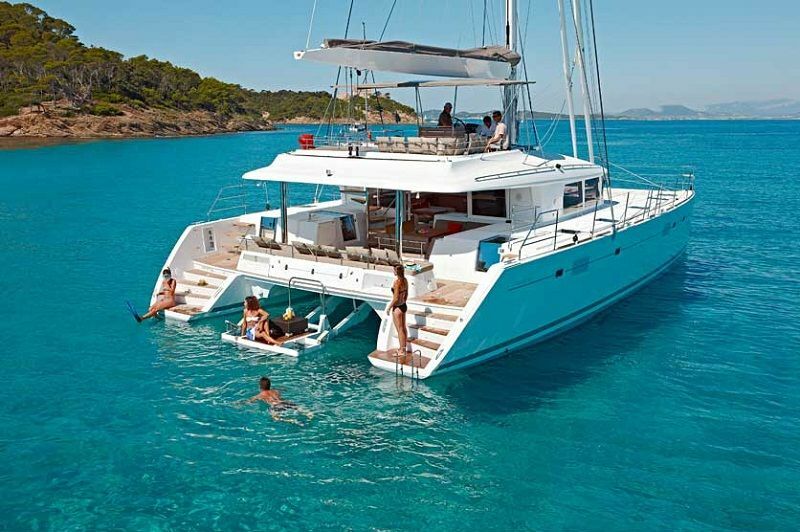 Those captains who WANT work at a charter company can easily find it. Charter companies don't like having to hire people that require work permits! The problem is that most of our people are not willing to spend a week or two weeks (with no days off) out on the water with clients from other parts of the world. Our people don't WANT to work holidays, sleep aboard a boat, be away from their family and friends for long periods of time. It's a fact! Before I decided to work with my husband in our family business, I worked in the charter industry for several years and never felt discriminated against. I was treated well, paid well and on time - unlike some locally owned companies I know. In addition, our oldest son is finishing his last year of university and plans to (eventually) start his own charter company. Our son chose his career path thanks to yet another charter company that was kind enough to take him under their wing, train him and encourage him to learn as much as possible about the business so that he would have the best possible chance for success in his own business. All this talk is just stupidness! If you are willing to work holidays and weekends (usually every other holiday and every other weekend) and have the skills necessary to work in ANY office, then you too could be employed by a charter company. You just have to have the right attitude to deal with customers from all over the world. Some are wonderful and some ain't easy at all - but that's the nature of any tourist based business. But - as soon as someone is told they have to work alternate holidays and weekends, that's the deal breaker. I KNOW this is true because I was the one doing the hiring of most office staff for the company I worked for!!! It's unfortunate, but I seriously doubt whether any one single member of the legislature has any idea what it takes to get a charter yacht off the dock, whether it be a bareboat from the Moorings or a luxury crewed charter yacht with a captain and cook. So blowing steam is what I read here. Alternate Facts and Fake News. I am very aware of the maritime history and tradition of the BVI, and also very aware that the honorable members of the House of Assembly only have eyes for filling the treasury, they have no other measuring stick. Go on, implement the legislation..........I DARE YOU! Is you guys have them so. You take their big donations to run for election, you don't think they want something in return ? Check the story on BVI Platinum entitled "CYS Donates To Youth Sailing" and see if you see any local Tolian kids in the pic. All you see is kids born here from expat parents. @Wize up, I have to agree that there are a lot of well educated, positive and decent young men and women from the BVI.